Toa Reinsurance Company of America provides the basis for this Toa Health Insurance review. Also known as Toa Re, the company is a wholly owned subsidiary of Japanese insurance producer Toa Tokyo. The American company was originally founded in 1982 as a partner with The Mercantile & General Reinsurance Company of America. Toa Tokyo purchased both of them in 1997 and put them at the forefront of their American business. Health insurance rates are available online by simply entering your zip code into our free search tool. 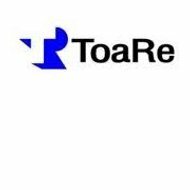 Toa Re is a reinsurance provider to other insurance companies throughout the United States. They operate through a network of brokers who sell their reinsurance products to other companies. Because of their particular business model, you won’t find a health insurance policy related directly to this company. Any connection Toa Re might have to health insurance is in its role as a reinsurance provider for another health insurance company. In case you’re unaware, the concept of reinsurance is one of providing insurance coverage for other insurance companies. In other words, let’s say Health Insurance Company A was to budget $100 million for annual benefit payouts. In any given year, a series of natural disasters could send more of their customers to the hospital than in years past, resulting in more claims than the company had anticipated. If they don’t have the cash on hand to pay out all of their claims, they utilize a reinsurance policy from a company like Toa Re. Another scenario would see Health Insurance Company A being sued in civil court by an unhappy customer or another business entity. Again, if that company does not have the financial resources to make good on any judgments against it, it would fall back on its reinsurance policy. In effect, what Toa Re provides is financial protection for insurance companies engaged in a wide range of businesses. Insurance brokers are the typical method by which Toa Re sells and services its policies. A broker is no different from an agent, except for the fact that the term is normally used when talking about insurance on a larger scale. Where the term “agent” usually refers to someone who sells to local businesses or individual consumers, the term “broker” lends itself to sales on a much larger scale. However, at the end of the day, a broker and agent are virtually the same. Toa Re works with brokers all across North America to offer reinsurance coverage in the United States and Canada. The company makes no provision to find a broker through an online search tool; we assume this is due to the nature of reinsurance. A more common way of doing business will involve brokers making cold calls to potential new clients. From there they would meet the client and offer details on their reinsurance products. Should you need to contact Toa Reinsurance Company of America, we have listed their information below. We have also listed the address and telephone number of the Canadian office for your convenience. The nature of reinsurance dictates that obtaining a simple quote is not practical or possible. Because of the complicated nature of reinsurance, each policy will be customized specifically to meet the needs of the customer being covered. This generally requires a face-to-face meeting between Toa Re and representatives from the customer’s business. From this meeting a policy can be drawn up after options are discussed and all information is disclosed. Toa Re has long enjoyed good ratings from A.M. Best. The latest ratings, which were issued on September 9, 2011, show Toa Re being upgraded. A.M. Best now gives them ratings of “A+” and “stable” for financial strength and future outlook, respectively. Furthermore, their credit rating was upgraded to “AA-.” While A.M. Best is clear to indicate these ratings apply only to the American subsidiary, the international company enjoyed strong ratings of its own. Furthermore, all insurance entities in the United States must file annual paperwork and financial disclosures. From those disclosures, we are able to see that Toa Re is on a very stable financial ground. At the end of the 2010 fiscal year, the company reported total assets of just over $1.31 billion. They also reported working capital of $4 million and a policy surplus in the neighborhood of $398 million. Don’t put off looking for health insurance rates online – get started right now by entering your ZIP code below!